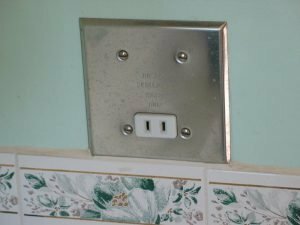 Author: Terry Peterman Do you live in an older home and have a bathroom outlet that is identified as “razor only”? Nowadays the expectation is to have a bathroom outlet that facilitates a multitude of rechargeable items such as rechargeable razors, electric toothbrushes, curling irons, blow dryers and more! 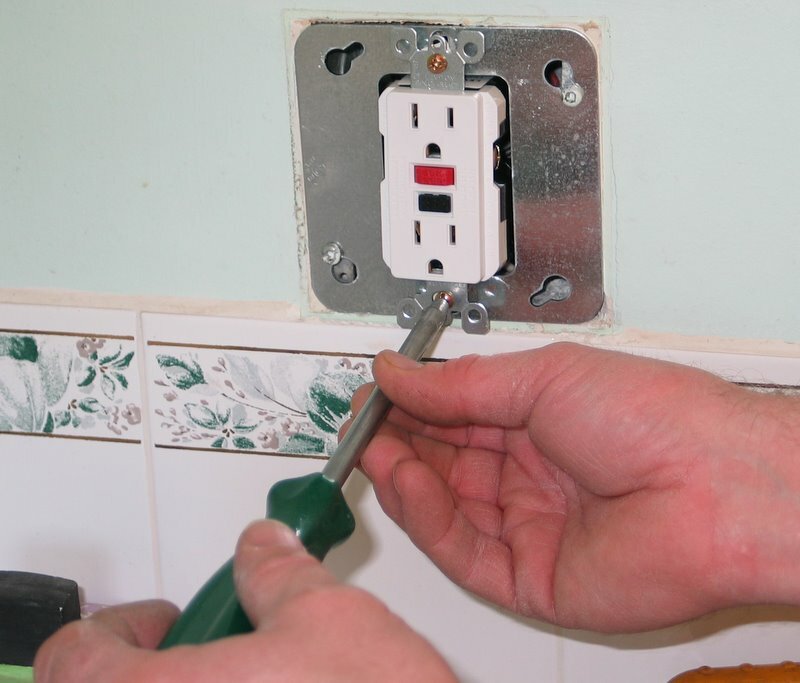 You can easily replace that older style “razor only” outlet and upgrade your bathroom with a much safer Ground Fault Circuit Interrupter (GFCI) receptacle. The following article provides step-by-step instructions on how to do so. 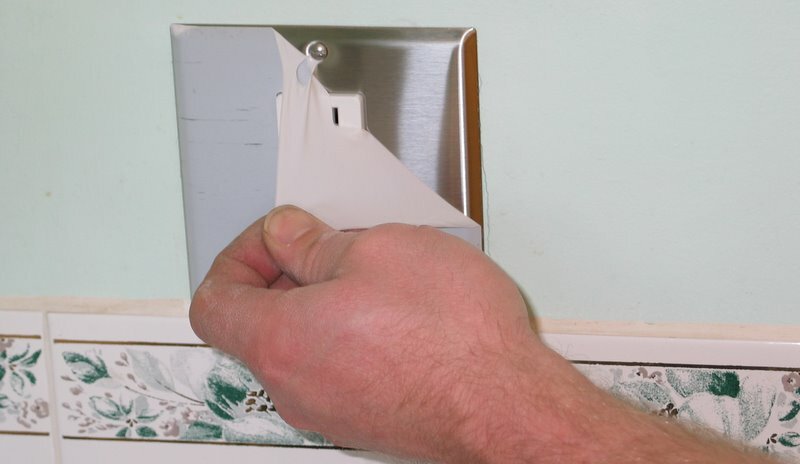 In many older homes, you will find that they have a “razor only” receptacle in the bathroom. 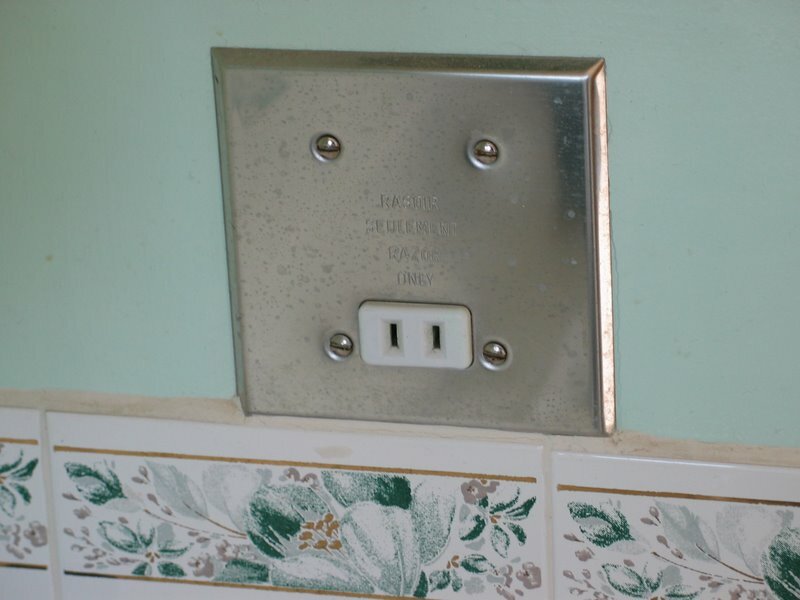 These usually have a polished silver plate, mounted in a 4” X 4” box, and the outlet has only two prongs. 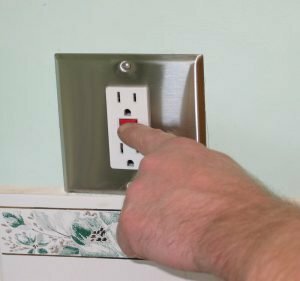 These were designed to isolate you from the grounded electrical system in your house by limiting the amount of current that could flow in a fault condition. These are one-to-one transformers that have a fairly low load capacity and cannot operate today’s appliances, such as curling irons or blow dryers. 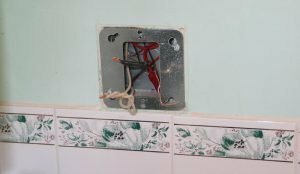 Also, changes to the electrical code required that these receptacles be connected to the light switch, so that they were on only when the bathroom was occupied, as they tended to get warm, and even hot, creating a potential fire hazard. 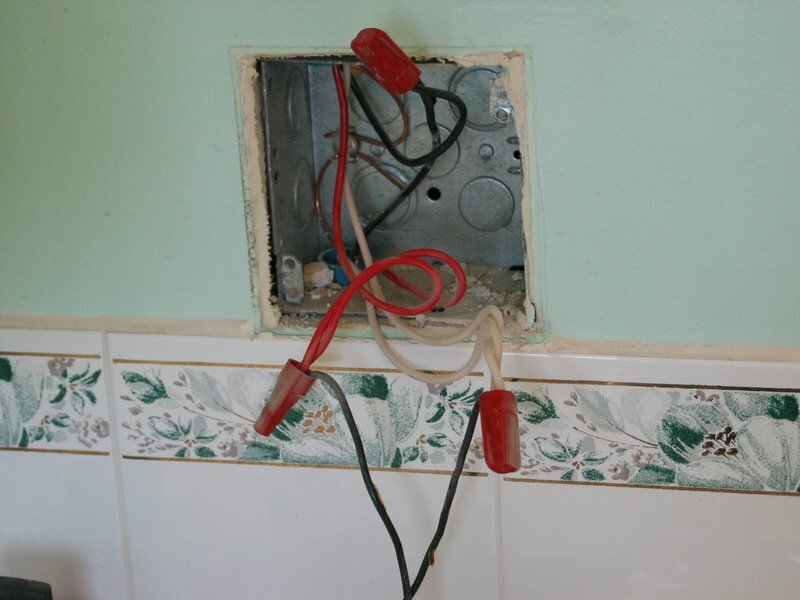 This is a problem if, for example, you use the outlet to plug in your re-chargeable electric toothbrush, or razor. The batteries will only charge when the light is on. 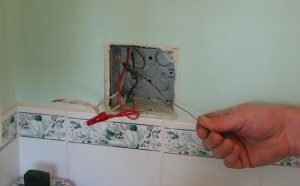 Today’s code requires that a GFCI breaker protect the outlet in the bathroom, or that the outlet itself be a GFCI receptacle. A GFCI device protects you from electric shock by measuring the flow of electricity (current, or amps) and checks that all the current used by the appliance returns to earth via the neutral conductor. 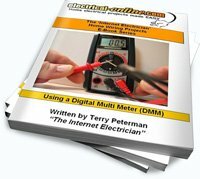 If all the flow of current is not accounted for, down to as small of a leak as 5 milli-amps, (.005 amps), then the circuitry inside the GFCI device will trip in as quickly as 1/30th of a second. This protects you from getting a shock, or at least a bad enough shock to seriously hurt or even kill you. 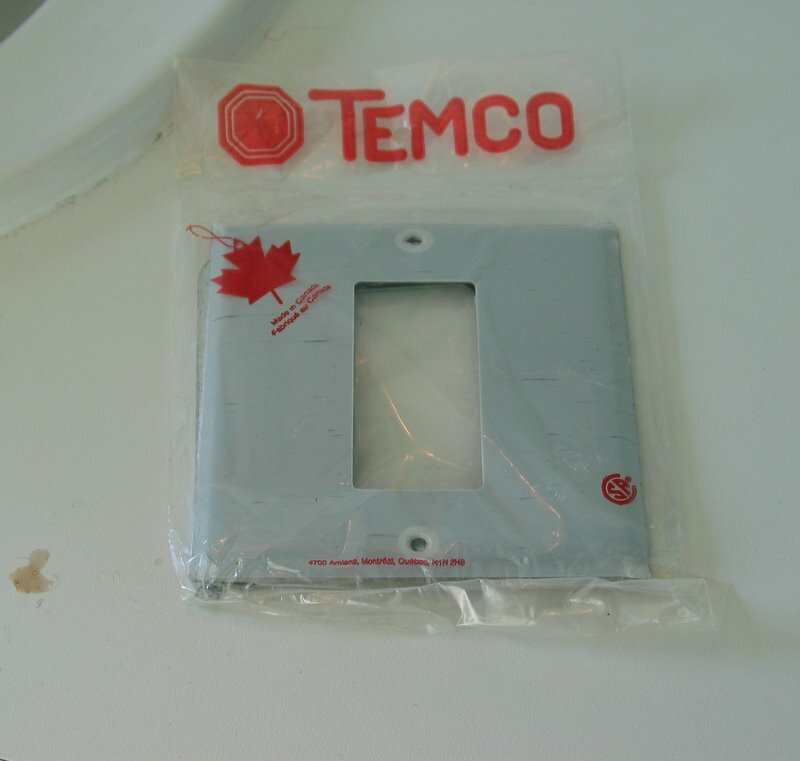 You will need is a GFCI conversion kit, and one of the best that we have found is manufactured by TEMCO. You can purchase this at your local home improvement or hardware store. SAFETY FIRST! Start by ensuring that the power is OFF. 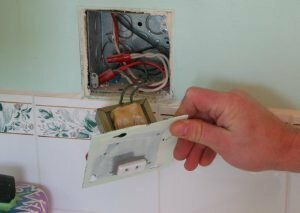 You will need to arrange for some light, as the circuit that feeds the bathroom will have to be shut off before starting the project. 1. Get a good battery powered flashlight or work light, or run an extension cord from an outlet on another circuit and set up a lamp or trouble light to work with. 2. Check the panel directory to shut off the correct circuit. Remember that often the panel directory is incorrectly identified as changes may have been made through the years, and not documented. 3. 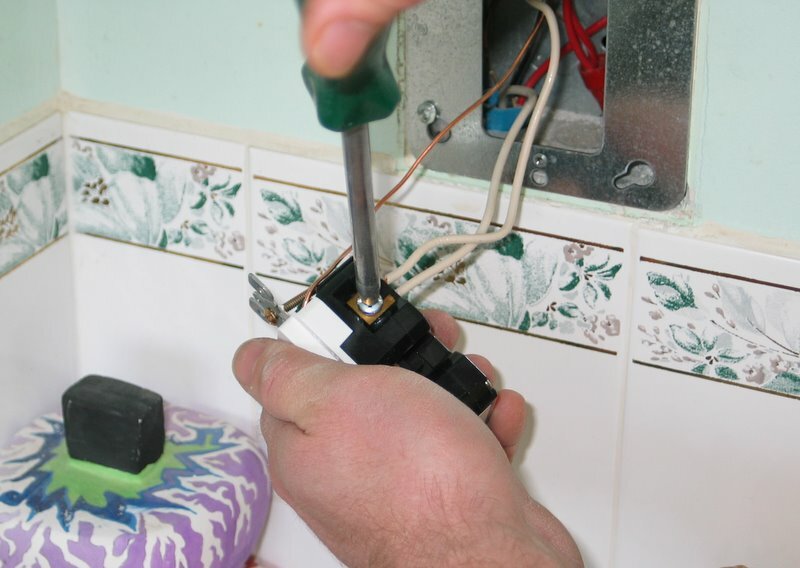 Verify that you have the correct circuit shut off by checking with a voltage tester, or just plug in an electric radio in the razor outlet and then when you have the right breaker shut off, the radio will quit. Start by removing the screws in the faceplate of the razor outlet. Once the screws are removed, it is a good idea to use a sharp knife to carefully cut the joint between the mounting plate and the wall, so that when you remove the bracket, the paint doesn’t stick to the plate making paint and/or drywall repairs necessary. Once the plate is removed, take note of how the wires are connected. You will have at least one black or red wire, and a white wire in the box. 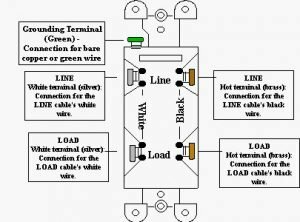 In this example, we are fortunate to have both an unswitched conductor (black wires), and a switched conductor (red wires), along with neutral (white wires) spliced in the box. 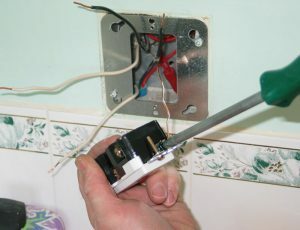 The razor outlet is connected to the red wire (the switched conductor continuing on to the light fixture), and the white splice (neutral). 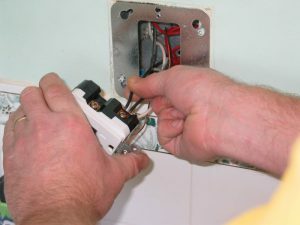 We can use the unswitched (black) splice to connect the GFCI receptacle, so that it will remain live, or hot, even when the switch is off. Disconnect the wires to the transformer of the razor outlet. Then toss it in the trash, as it is no good to anyone and does not meet today’s code, so it shouldn’t be re-used for anything but a paperweight. 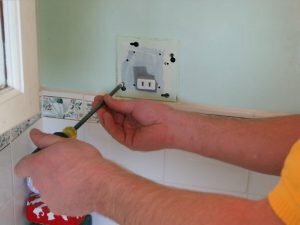 You will probably have to connect a ground wire to the ground screw as the ground wire (s) were likely cut off. As no tail was required for connection to the razor outlet, one wasn’t required. 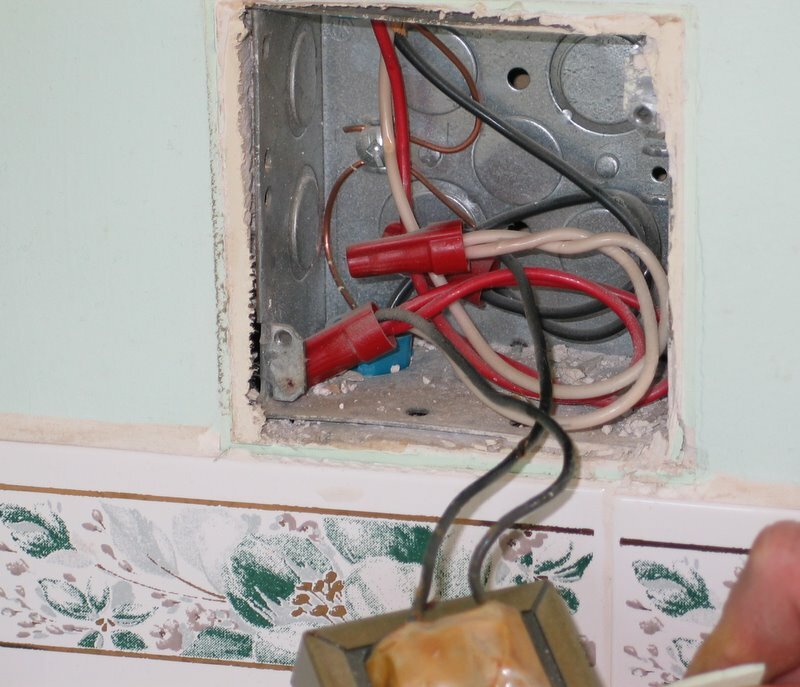 You will need one ground wire for the GFCI receptacle ground (green) screw. You may have to pigtail in a ground wire, wrap it around the screw and tighten it, and then onto the GFCI ground screw. Always ensure that the ground path isn’t interrupted. Mount the adapter bracket to the box using the box screws. 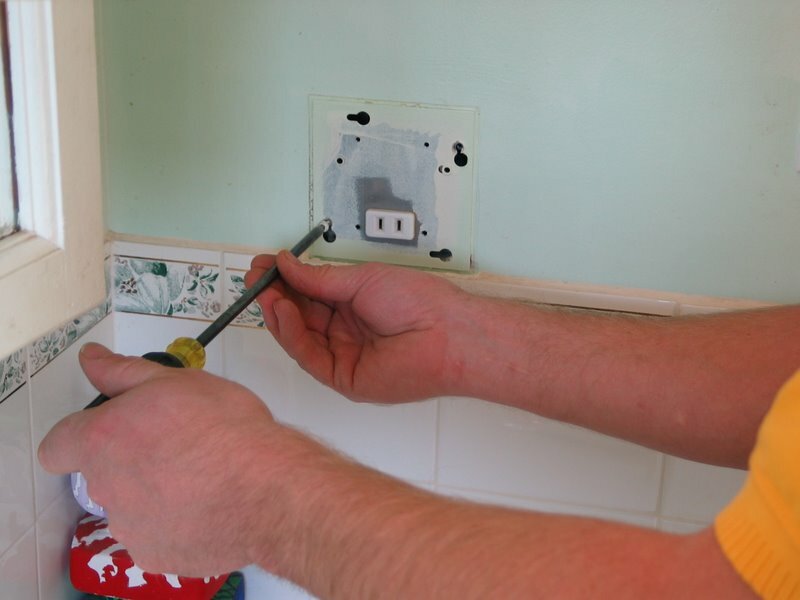 Bring the wires out through the rectangular hole in the plate for connection to the GFCI receptacle. 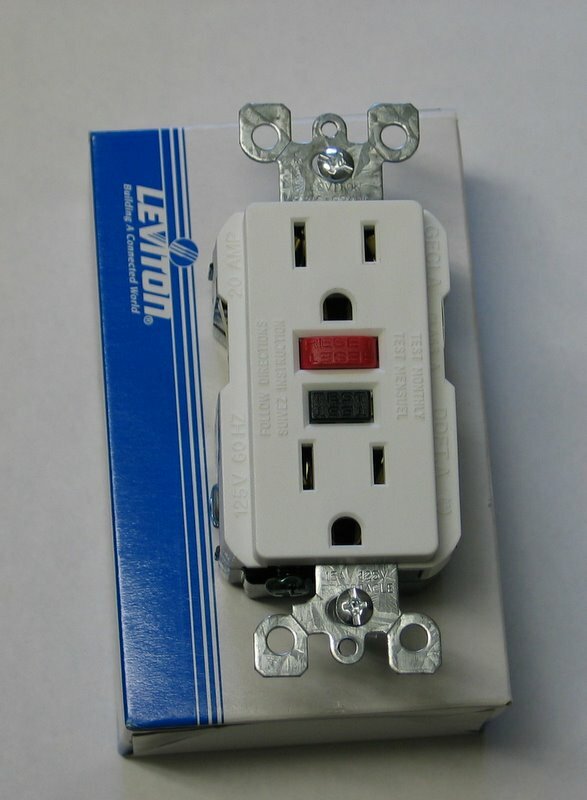 Connect the white wire(s) to the white or silver identified terminal of the GFCI receptacle. If you have more than one wire, you can pigtail (splice the existing wires together, along with a short jumper wire for connection to the screw, using an approved wire connector). You can also cut and strip both wires to the correct length and push them in under the terminal in the appropriate holes, and tighten the screws. (That is how I connected them in this example). 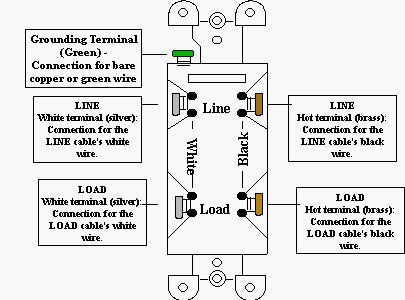 Connect to the terminals identified as ‘line’, and NOT the ‘load’ terminals (see GFCI Receptacle diagram below for reference). Splice the red wires together using an approved wire connector and tuck carefully into the back of the box. 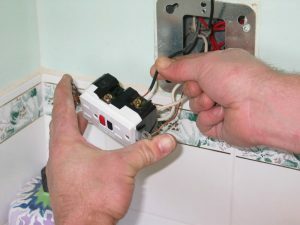 Once connected, check your connections by pulling on them to ensure that they are tight. Mount the receptacle into the adapter plate using the device screws provided. Put on the silver faceplate with the screws provided. Remove the protective film as the final step. Now you are ready to restore power to the circuit. 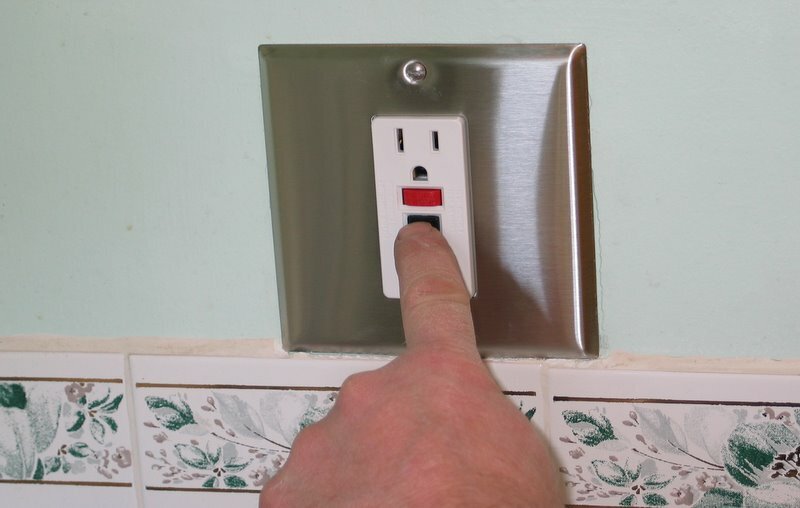 Make sure that the light works, and press the reset button on the GFCI receptacle. 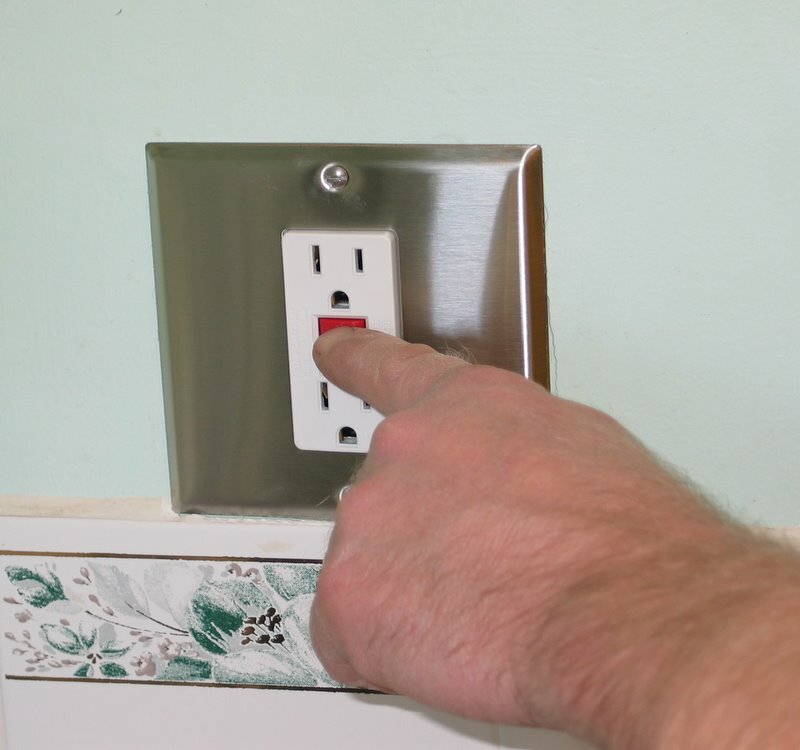 Then press the test button, and the GFCI should click, and the reset button will pop out. 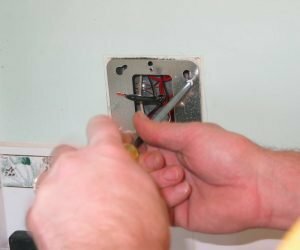 Reset again, and test the outlet with a circuit tester, or better yet, an electrical device such as a blow dryer, lamp, or radio. Clean up the mess, and pat yourself on the back for a DIY job well done! 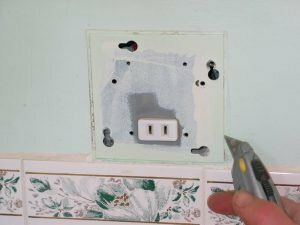 In summary, replacing a razor only receptacle not only provides you with a safer outlet that provides GFCI protection in your bathroom, but allows you to plug in all of your modern chargeable appliances. 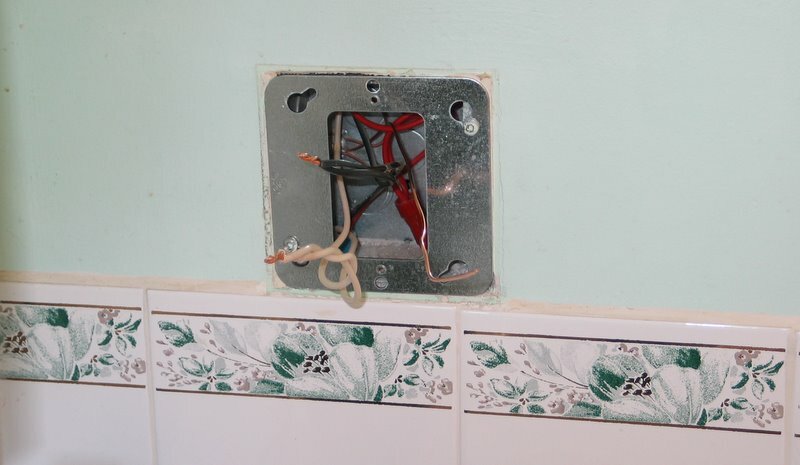 This entry was posted in Indoor Wiring, Receptacles and tagged GFCI outlet, GFCI receptacle, ground fault circuit interrupter, outlet, razor only outlet, razor only receptacle. Bookmark the permalink.